Diseased trees cause millions of dollars in damage to property and forests every year. Due to the quick spreading nature of many tree diseases in the Midwest, it is important to discuss any disease concerns you may have with a Certified Arborist as quickly as possible. 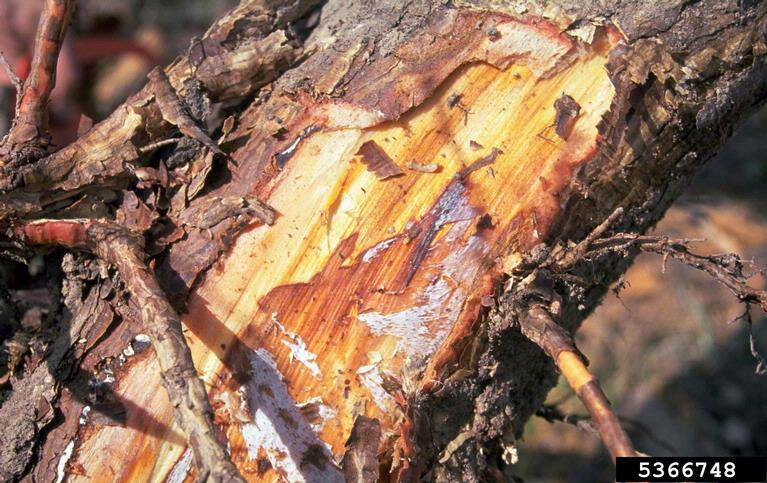 At Kraft Tree Services, our Minnesota tree experts have the knowledge and experience needed to offer advice on a wide range of tree diseases, including dutch elm, apple scab and oak wilt. We take great care to analyze your trees before offering advice on their condition, and the options you have for treating or removing any diseased trees from your property. Anthracnose - A fungal disease infects ash, oak, maple, and sycamore trees. 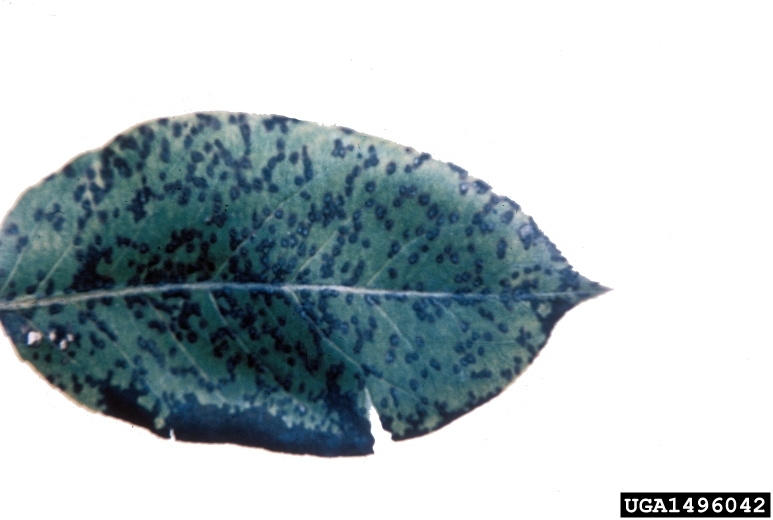 The fungus causes dead blotches on the leaves which can eventually lead to spring leaf drop. It can also cause stunting, distortion and browning of new leaves. 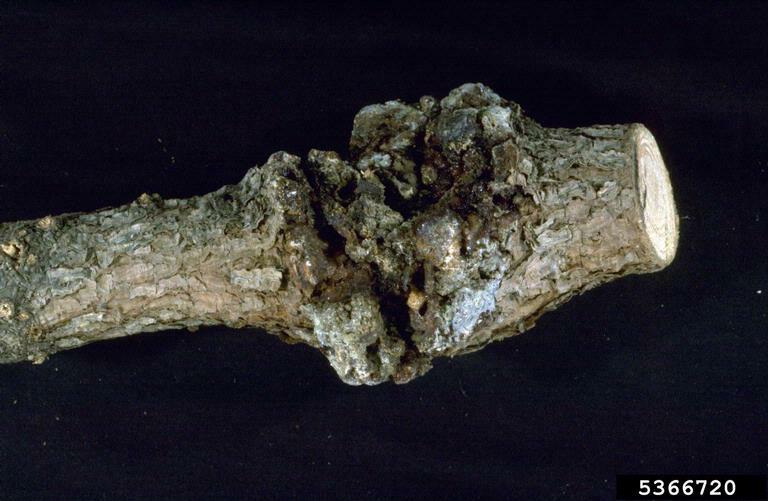 Apple Scab - A fungal disease that infects apple trees causing lesions on the leaves and fruit. 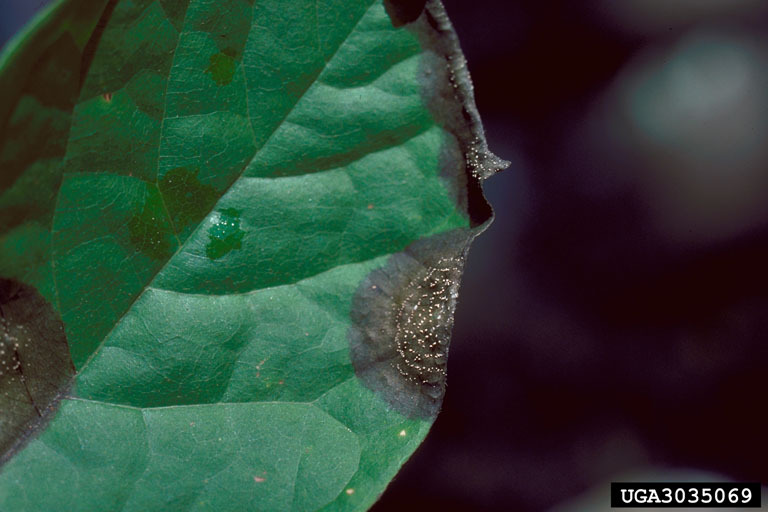 These lesions can also infect the stems resulting in dieback of new leaves. Fungicidal sprays applied properly may help prevent the disease. Armillaria Root Rot - This fungus creates threads that appear on infected tissue similar to strings. These structures can grow to distances of up to ten feet. This is a pathogenic organism causing mortality, wood decay and growth reduction. Cankers - Dead areas of the bark that are located on the trunk or branches of a tree. 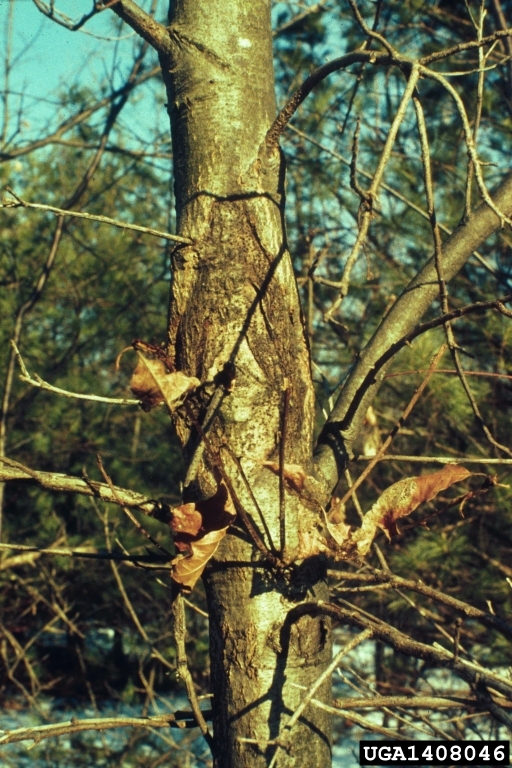 Cankers are caused by numerous species of fungi that infect stressed or wounded trees. Discoloration, oozing sap, and sunken areas are characteristics of this disease. 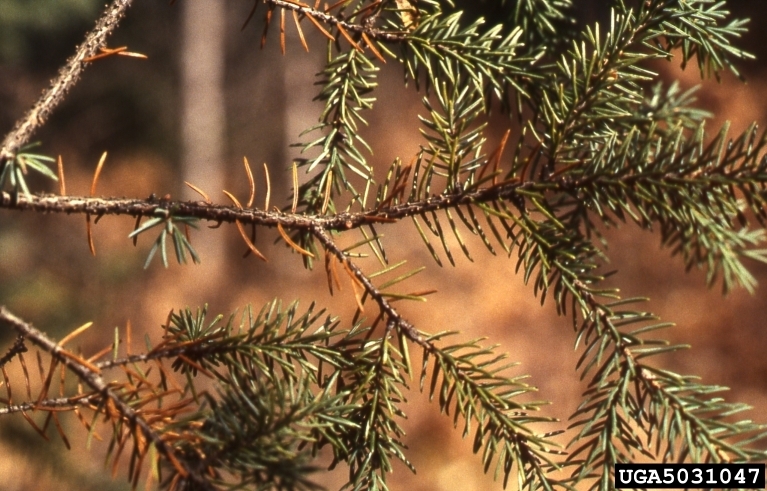 Cytospora Canker - A disease that primarily affects Colorado Blue Spruce. In locations where high humidity occurs, it is a destructive disease that can kill mature Colorado spruce. Symptoms often show after the trees have been established for more than fifteen years. The most effective management is to reduce the site conditions that stress the tree and reduce the moisture conditions that increase the spread of the disease. Dutch Elm - The most devastating disease to the elm tree. Most infected elms cannot be saved. If the fungus has not moved into the root system, physically cutting out the infected portions of the tree may save them. 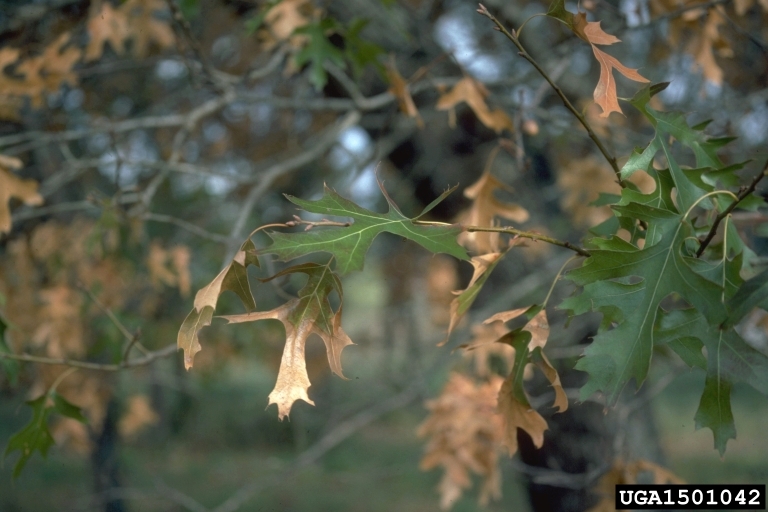 Oak Wilt - A disease caused by a fungus that is lethal to all native oak trees. The fungus invades and disables the water-conducting system in white, red and other oak species. 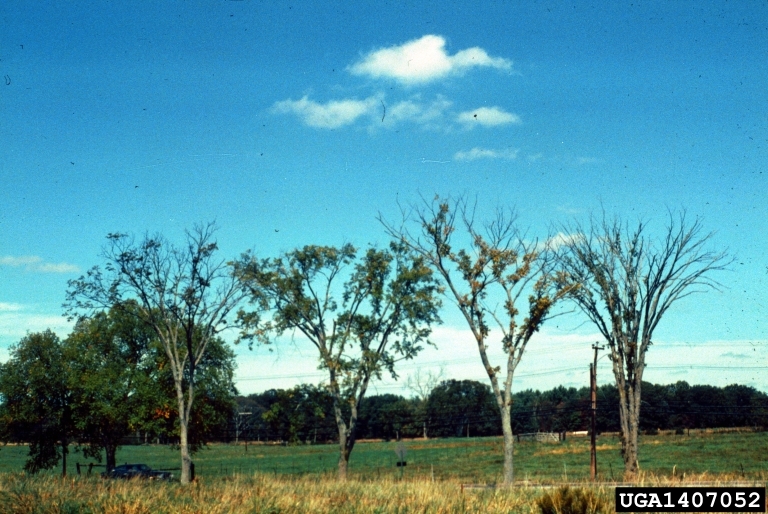 Different species of oaks vary in susceptibility to the disease. Root graft disruption and fungicidal treatments aid in preventing the spread of oak wilt. Rhizosphaera - A foliage disease of spruce trees. It causes significant damage to trees growing outside of their native range. Older inner needles show symptoms first. As the disease progresses, newer needles will exhibit symptoms. Infected needles first appear mottled or speckled with dull yellowish blotches. Later the needles turn brown. The needles are dropped (cast) three to fifteen months after infection. Control is difficult and requires long term commitment to a treatment program. If you believe that a tree on your property has fallen victim to a tree disease within the Minneapolis suburbs including, Minnetonka, Lake Minnetonka, South Lake Minnetonka, Excelsior, Shorewood, Wayzata, Deephaven, Chanhassen, Hopkins, Eden Prairie, Orono, Greenwood, St. Louis Park, Edina or Eden Prairie, call Kraft Tree Services at 1-866-TIP-TREE / 952-406-8788 today.